Spend Halloween with the FSQ and Roger Chase as part of Utah Viola Society’s Viola Weekend! Who knew Halloween was a night for Viola Quintets?! 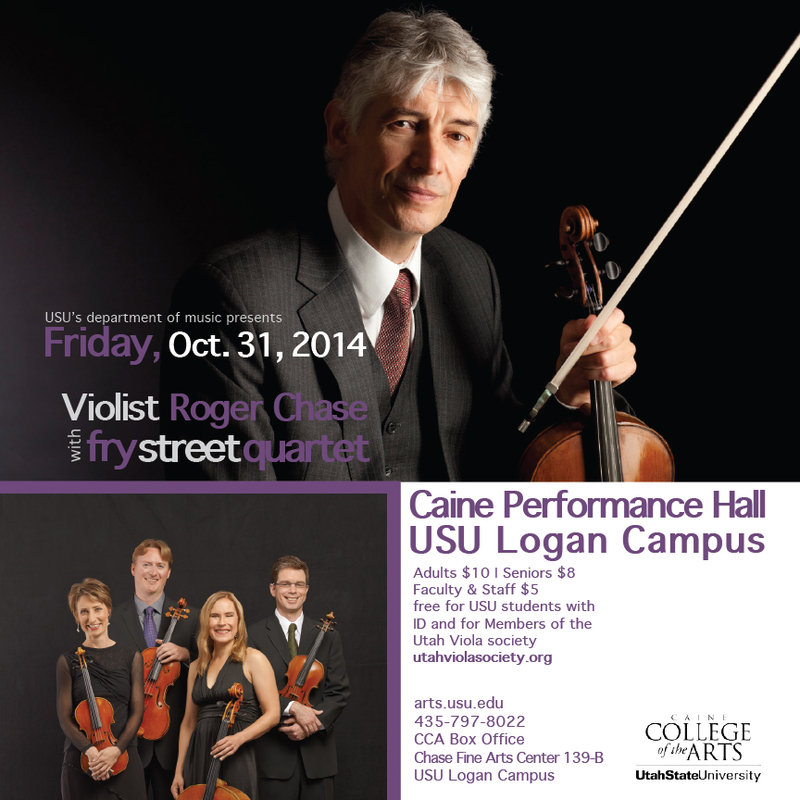 Come hear Utah’s own Fry Street Quartet in concert with world renown viola soloist Roger Chase. The first half will feature Mr. Chase in recital, and the second half features the FSQ and Roger Chase performing the Mozart C Major String Quintet.